Whether you're a professional event planner or you've been tasked with planning your own company event, successfully planning a corporate event can be a nuanced and challenging affair. From the catering to the venue to decorations and more, a successful event takes a lot of strategizing and effort to pull off perfectly. 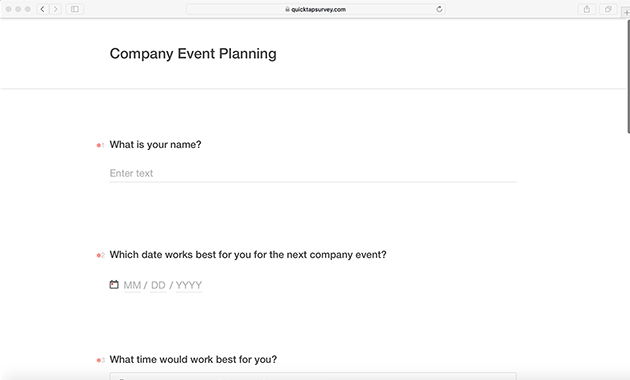 If you need help generating ideas, drafting a budget, scheduling appointments, putting together a menu, choosing a catering facility, signing contracts with vendors, choosing decorations, planning invitations, making task lists and delegating tasks, QuickTapSurvey is the perfect organizational tool to help you with your company event planning. 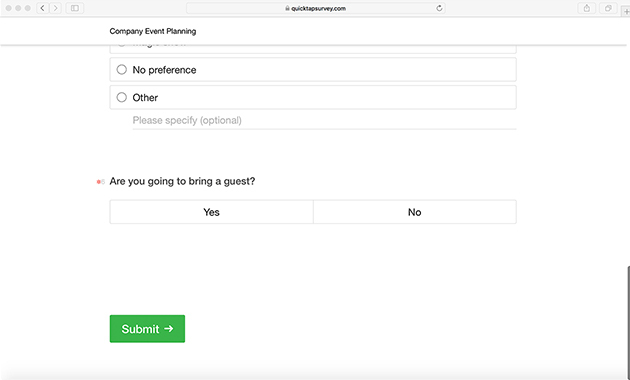 Our company event planning survey template will make your next company event a hit. Sign up for a plan type on our website. 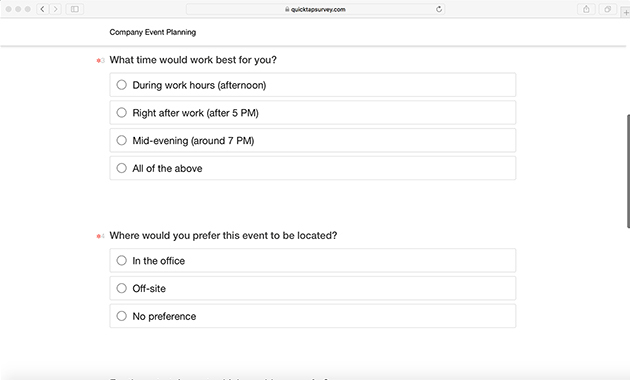 Build your event planning survey with this event planning template or create your own from scratch. Download our app to your tablet or phone. 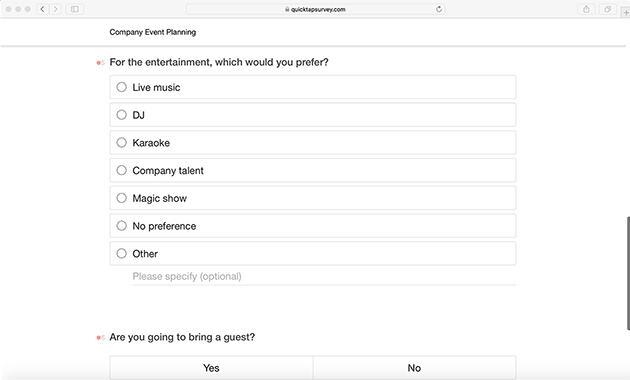 Collect data for your corporate event using our survey app.